Every quarter, CoinDesk publishes its State of Blockchain Report summarizing the key events, trends and data in the blockchain industry. The publication's latest Q1 2018 report contains mostly positive trends that point to an industry that has not only managed to survive against growing odds, but one that's thriving. 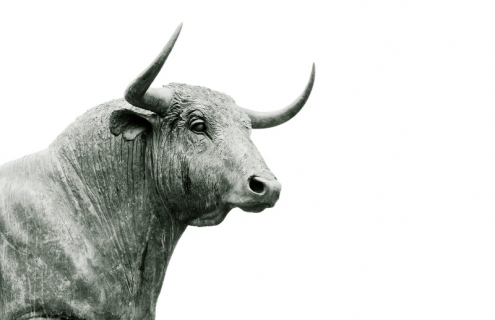 After hitting an all-time high of nearly $830 billion in early January, the crypto markets retreated sharply during the entire first-quarter, reaching a trough of $250 billion in early April. 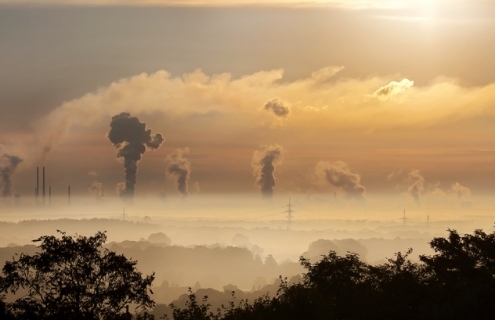 That was a massive 70-percent decline--one of the worst in the history of the industry. Everything from price, transaction volumes, exchange volumes and more declined sharply over the period. 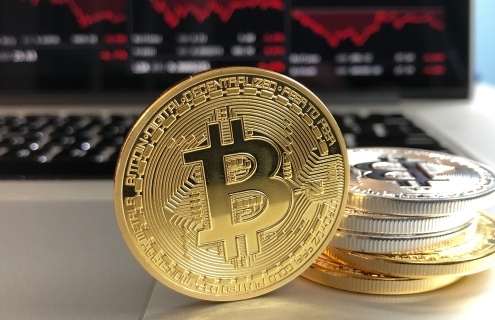 The sell-off seems to have been triggered by the collapse in bitcoin's price since the crypto market tends to follow Bitcoin's long-term trend. 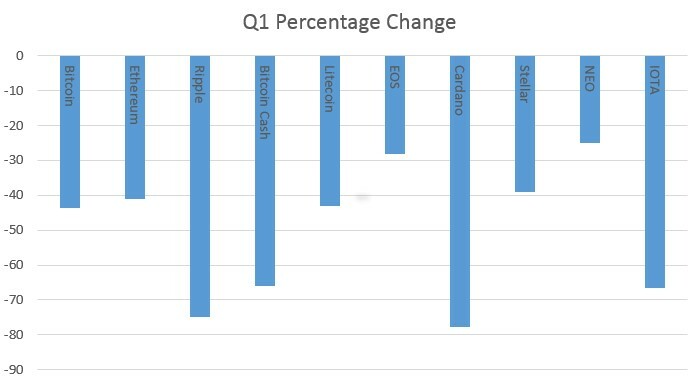 Bitcoin fell 43.6 percent during the quarter, and all other Top 10 alt-coins followed suit. A CoinDesk sentiment survey found that 31 percent of cryptocurrency investors paid taxes on their crypto gains. That would be a big rise compared to zero a couple of years ago. That finding, however, contrasts sharply with another CNBC report that claims fewer than 100 people out of 250,000 filers on the Credit Karma Tax platform reported any capital gains on their crypto investments. The CNBC report, however, noted that the complexities of filing crypto gains could have pushed more people to delay filing their returns until the deadline approached. But maybe both reports are accurate because CoinDesk says that only 18 percent of Americans reported finding the process of filing crypto gains easy compared to 38 percent of non-Americans. Looks like the IRS still has some work to do to get everybody up to speed with the mechanisms of crypto taxation. Despite the continuing bearish sentiment in the crypto market, bitcoin investors don't have to worry about the supply of their precious coin running out anytime soon. 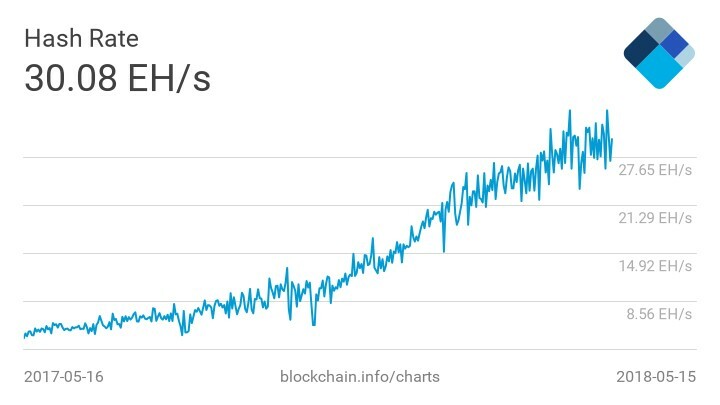 Miners continued working tirelessly to grow the bitcoin pie, with hash rate growing 47 percent in the first-quarter. 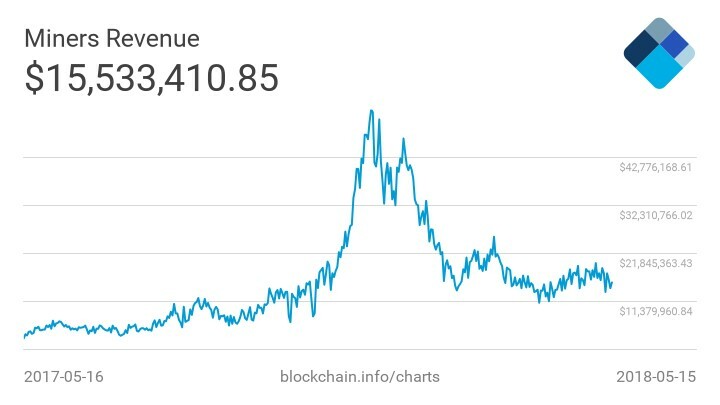 That's quite remarkable considering how badly miners' revenue fell following declines in crypto prices. Experts often cite high transaction fees as a key reason why bitcoin and other cryptos are yet to enjoy mainstream adoption as an everyday means of exchange. But that might soon change if the current trajectory by transaction fees is any indication. Related: Senate Votes To Protect Net Neutrality, But What’s Next? The average cost of a single bitcoin transaction fell from a high of $25 at the beginning of the quarter to around $0.92 at the tail-end, demonstrating even greater volatility than price. Yet, the rise and fall in transaction fees should not come as a surprise. After all, bitcoin transactions are handled by thousands of computers and costs rise when there is congestion at the nodes as happens when prices are spiking. Perhaps nothing in blockchain land has been on the receiving end of as much criticism and retribution by the regulatory authorities as ICOs (Initial Coin Offerings). But the latest CoinDesk report suggests that ICOs are not going anywhere--at least not anytime soon. ICOs during the quarter managed to raise a staggering $6.3 billion, totally eclipsing the $885 million raised by VCs. Meanwhile, the average amount raised by ICOs nearly doubled to $31 million from $16 million previously. But that showing might have been in large part due to Telegram's massive ICO. Unfortunately, Telegram ended up cancelling its ICO in May due to the risk of infringing on increasingly tight SEC regulations, but not before raising a cool $1.7 billion, making it the largest ever in ICO history.